This all came about when a few small wine producers were commiserating about how challenging it is to sell wines when you're also working full time somewhere else, don't have a tasting room, or don't have deep pockets! It's one thing to produce wine because you are compelled to, it's another to enter the competitive fray of reaching the public. It's all about the love of wine, of food, of this crazy way of life. 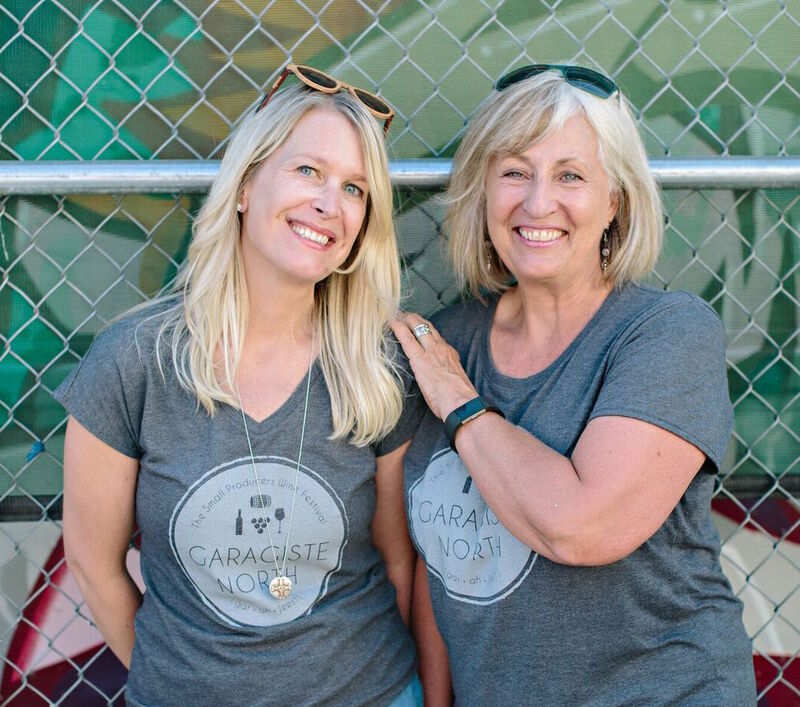 We stumbled across the term 'garagiste' (gar-ah-jeest)and the idea of the wine festival was born and the two of us decided to team up to help organize this collaborative event and form Garagiste North. The first Small Producers Wine Festival was held in Okanagan Falls in 2014 at Meyer Family Vineyards. It was a sellout success and more importantly really, really fun. So we decided to do it all again. Jennifer Schell is food, wine and travel writer and former editor of Food & Wine Trails Magazine. She is the author international awardwinning cookbook series: The Butcher, The Baker, The Wine and Cheesemaker featuring the food, farm and drink community in BC. Jennifer is also a new Garagiste! She and brothers Jonathan and Jamie Schell launched Schell Wines in 2017 with their first vintage of 57 cases of Chardonnay. Winemaker is Rob Westbury (also a Garagiste) of Nagging Doubt Wines. Terry Meyer Stone is well immersed in the Okanagan wine industry. Her brother owns Meyer Family Vineyards and she and her mad scientist husband Andrew Stone have a 4 acre vineyard on Anarchist Mountain where she works as a farmer and they produce their own garagiste wine - Anarchist. They couldn't resist producing small lot Chardonnay, Merlot and Pinot Noir and are definitely 'Garagistes' with a total production of under 300 cases. They drink a lot of it.